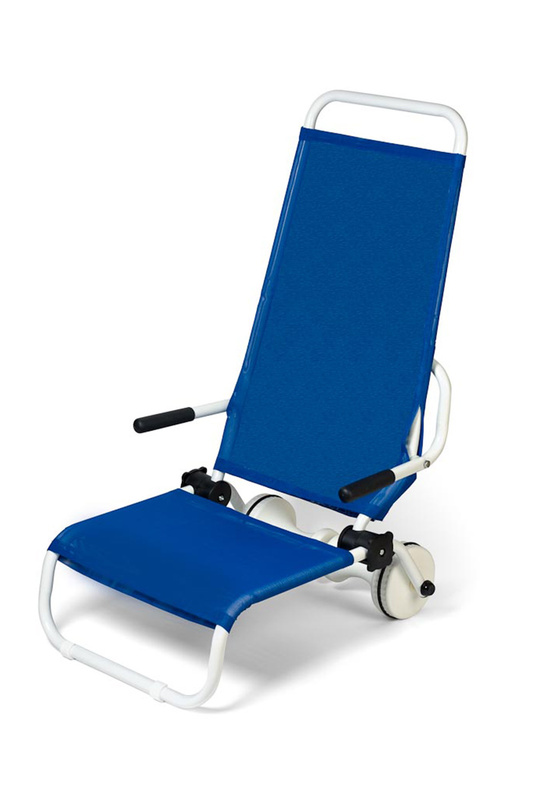 In recent years, we have introduced the Dunebuggy which is a unique beach chair that functions both as a reclining chair and a vehicle to move beach supplies. 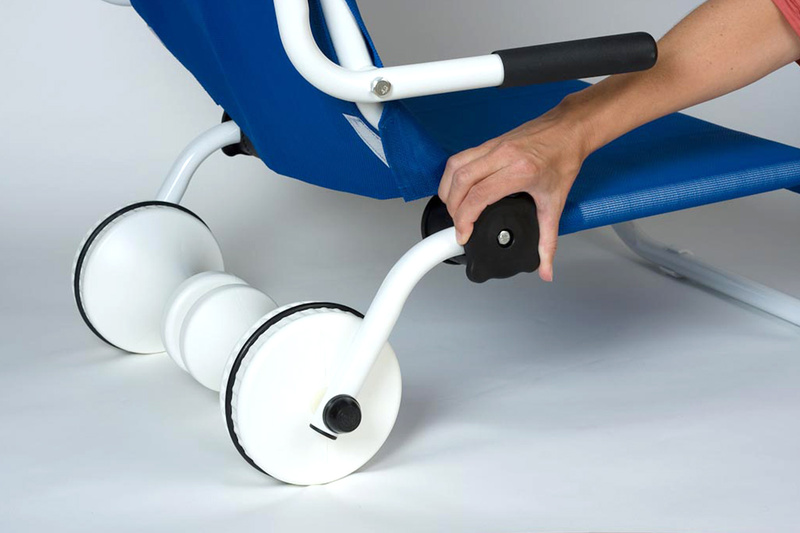 The chair is designed to move easily in soft sand while still rolling normally on fine surfaces to transfer all your beach supplies. All the extra equipment needed at the beach is easily handled by the versatile Dunebuggy. The frame is durable aluminum tubing with a white powder coated finish. Covers are a tough nylon mesh and come in both blue and red colors.